Category: Books, Ancient Wisdom, Religion and Spirituality Tags: Andrew Phillip Smith, Cathars, culture, Esoteric, history, philosophy, teachings. Delving into the history and culture of the medieval dualist movement, this book explores the teachings of the Cathars and their fascinating legacy. Centuries after the brutal slaughter of the Cathars by papally endorsed Northern French forces, and their suppression by the Inquisition, the medieval Cathars continue to exert a powerful influence on both popular culture and spiritual seekers. Yet few people know anything of the beliefs of the Cathars beyond vague notions that they believed in reincarnation, were vegetarians, were somehow Gnostic, and had some relation to Mary Magdalene. 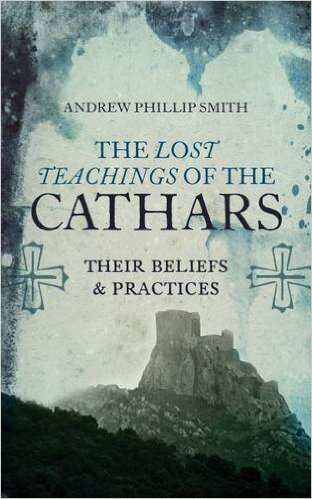 The Lost Teachings of the Cathars explores the history of this Christian dualist movement between the 12th and 14th centuries, offering a sympathetic yet critical examination of its beliefs and practices. As well as investigating the origin of the Cathars, their relationship to the ancient Gnostics of the early centuries AD, and the possibility that they survived the Inquisition in some way, the author also addresses recent renewed interest in Catharism. Eccentric esotericists initiated a neo-Cathar revival in the Languedoc which inspired the philosopher Simone Weil. The German Otto Rahn, who has been called the real-life Indiana Jones, believed that the Cathars were protectors of the Holy Grail and received support from Heinrich Himmler. Arthur Guirdham, a psychiatrist from the West of England, became convinced that he and a circle of patients had all been Cathars in previous lives. Tourists flock to the Languedoc to visit Cathar country. Bestsellers such as Kate Mosse’s timeslip novel Labyrinth continue to fascinate readers. But what did the Cathars really believe and practice? Find out with The Lost Teachings of the Cathars. Sean Martin is a writer based in Edinburgh. Among his books are The Gnostics: The First Christian Heretics, The Cathars: The Rise & Fall of the Great Heresy, and The Knights Templar: The History & Myths of the Legendary Military Order.